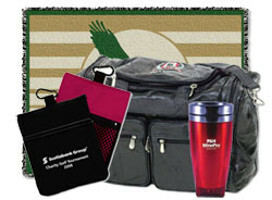 JWG offers clients a wide variety of personalized products in several classifications. Personalized logos and event names are applied through embroidery, ink imprinting and digital processes. Items include leather bags, drinkware, shoe accessories, key rings, cotton throws, umbrellas and more. 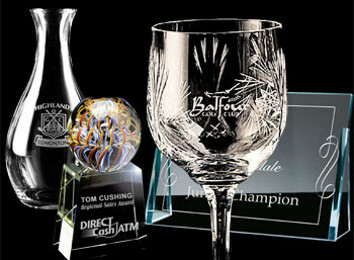 Personalized with logos and event names by etching or imprinting. Select from crystal trophies, awards, wine glasses, decanters, barware, coffee mugs, beer glasses, vases, bowls, and everyday drinking glasses. Personalized logos and event names are applied through embroidery, ink imprinting and digital processes. Choose from Imprinted Golf tees, Golf towels, Golf Umbrellas, Golf Trophies, Golf Bag tags, Golf Flags, Golf Ball Markers, Golf divot tools, Golf head covers, and other golf accessories.